Over spring break, the Department of Facilities Management installed 30 pairs of eco-friendly trash bins with the aim of increasing recycling rates across the board. PROVIDENCE, R.I. [Brown University] — While a spring snowstorm may have dampened the visual impact, students returning from spring break may have noticed the tops of 60 new Bigbelly waste and recycling stations peeking out from snow piles across the Brown campus this week. The digitally outfitted bins — 30 pairs of recycling and trash stations each installed on March 29 and 30 — mark a significant milestone in the University’s eco-friendly effort to adopt single-stream recycling, a process that allows plastic, glass, metal containers and paper to be mixed. And simply the visibility of the high-tech stations and improved signage should mean greater recycling rates in general. “The new bins are expected to increase recycling rates due to the simplicity of a one-bin system and more clearly labeled containers,” said Jessica Berry, sustainability program manager in the Office of Energy and Environmental Initiatives in Facilities Management. Powered by solar panels, the bins are mounted with a console that serves the dual role of automatically compacting waste and then alerting administrators when containers are full. Unlike the black bins that previously decorated campus, the modern containers feature a high-tech design that adds a sci-fi feel to waste and recycling on campus. The bins feature a wireless data link for remote monitoring and LED indicators for various statuses including compacted trash levels. The containers are spill-proof and outfitted to withstand floods of up to 36 inches — they are even designed to prevent entry by squirrels and other critters looking for meals. Beyond allowing for single-stream recycling, the new containers come with other benefits — a 5-to-1 compaction ratio means waste gets squeezed into smaller bits, reducing the frequency for pickup and leading to a reduction in fuel costs associated with greenhouse gas emissions and staff time spent emptying bins, according to Berry. “The new technology and streamlined process for separating recycling will have a direct financial and environmental impact for the University,” Berry said. This isn’t Brown’s first foray into Bigbellies. In 2011, the University purchased 13 of the space-age trash cans as part of a pilot to assess the viability of the technology. 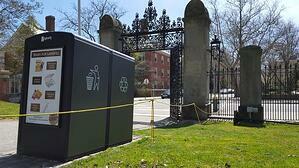 Environmental benefits aside, the “smart” bins have practical purposes too. The transition will allow custodial and grounds staff to minimize the amount of time they spend emptying trash, leaving more time for other projects like keeping Brown beautiful, Berry said. The installation resulted in the removal of approximately 120 black bins, which were donated to Providence public parks and various community organizations. “Brown is pleased to contribute to sustainability in Providence public parks and neighborhoods,” said Katie Silberman, Brown’s community liaison. "Donating the black bins to our community partners keeps Brown’s surplus equipment out of the landfill, while providing a nice cost savings in equipment to the parks." 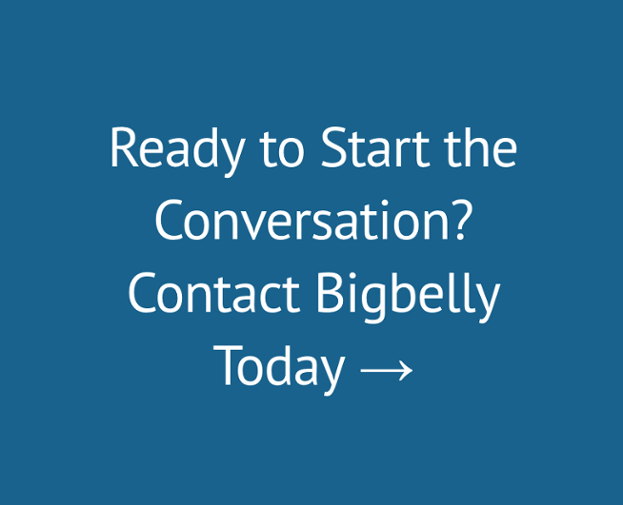 Part of a larger green initiative, the Bigbelly installation was led by the Department of Facilities Management and the Office of Government Relations and Community Affairs. The implementation is one of the first steps to transition the Brown campus to a single-stream recycling system. Administrators hope in the next few years to convert the main eateries, too. "We are currently in the process of inventorying all teaching spaces and common areas for single-stream conversion, likely in 2018 — if not before,” Berry said. More Information about Bigbelly at Brown Unviersity on the 'Brown is Green' website.